Fern (Filicophytes): growing, planting, caring. There are more than 13000 species of Fern to choose from ! If you need plants that will accept to live and thrive under trees, Ferns are good candidates. Growing ferns is easy, as long as you plant them in the right place. They generally appreciate a rich, humiferous even acidic soil, and prefer shady spots. Note that the shrubby species are not very hardy and better suited for warm climates. Ferns are plants with fibrous and sometimes rhizomatous roots, with leaves often composed and pinnated. Ferns produce neither seeds nor flowers, but reproduce by spores. Ferns covers more than 13,000 species, in many genus - but since the care is the same, this sheet groups them all together. There are ferns for all situations, but if in doubt, plant in humus soil, light, rather acidic, in the shade. When planting, add garden compost to the soil to lighten and acidify if necessary. Water copiously. 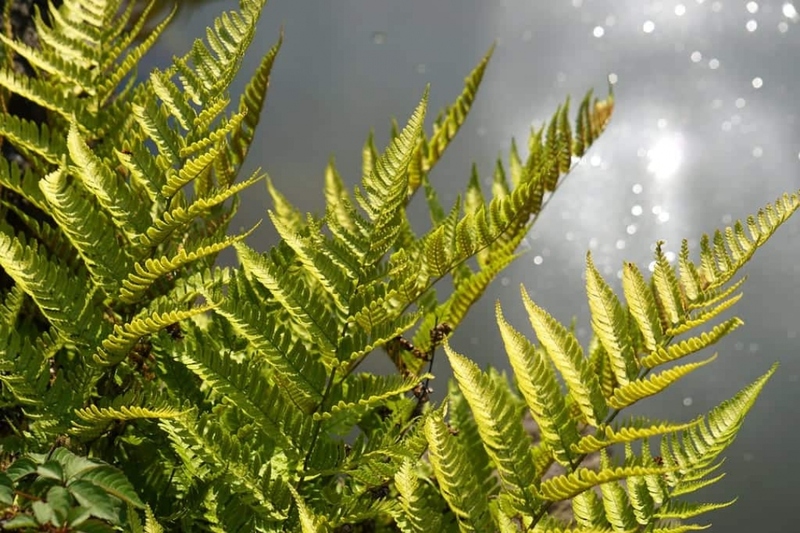 Plant your frost-sensitive ferns in pots in potting soil. In pots, water every week. Water the wall ferns as if they were in pots. In open soil water the first year every week if the rain is not sufficient. Avoid watering with calcareous or chlorinated water. In Spring, you can cut the dry leaves of the previous year. Each year, bring some ground mash or leaves at the foot of your fern. Help your potted ferns from time to time, with some decomposed compost or potting soil added on the surface to make up for the lack of decomposition that a balanced soil provides.